N.C. Representative Jason Saine (R—Lincoln) has received the 2015 Legislator of the Year award from the North Carolina Beer & Wine Wholesalers Association. 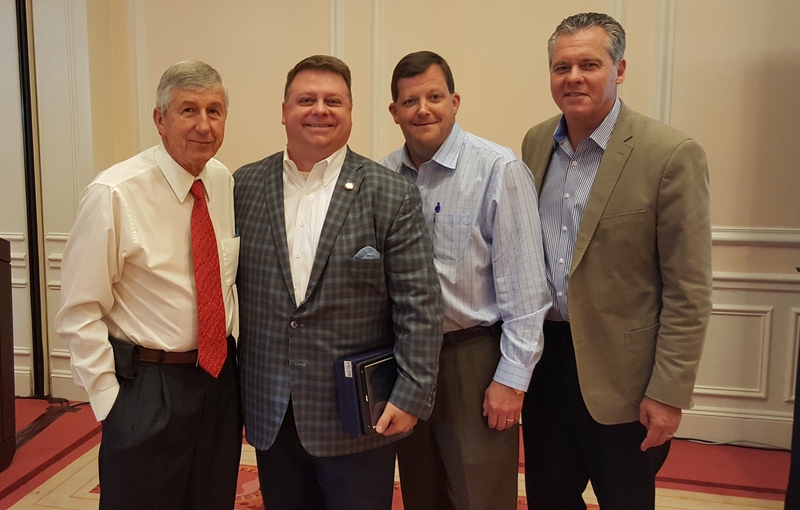 “As senior chairman of the House Finance Committee, Representative Saine has exhibited strong and effective leadership in tax reform, transparency and fairness”, said Tim Kent, executive director of the association. “I am honored to receive the Legislator of the Year Award from the North Carolina Beer & Wine Wholesalers. In a highly regulated industry, these men and women provide many jobs and opportunity for our state,” Saine said. Saine is in the middle of his second full two-year term as a member of the North Carolina House. He was appointed to the General Assembly in 2011 to complete the term of Rep. Johnathan Rhyne who resigned his seat. In addition to his duties on the Finance Committee, Saine serves on a long list of legislative committees including House Rules, Information Technology, Alcoholic Beverage Control and Commerce and Job Development. Saine received his award December 15 while speaking at the winter meeting of the North Carolina Beer & Wine Wholesalers Association in Chapel Hill. The association is consistently recognized as one of the state’s most influential associations with a long record of advocacy effectiveness at the N.C. General Assembly. The member companies of the association directly employ 5,500 North Carolinians who safely and efficiently provide product variety to grocery stores, convenience stores and restaurants across the state.